The evening newspapers serving Edinburgh and Glasgow have both registered falls in their circulations, according to six-monthly sales figures, released today. Says the Audit Bureau of Circulation – in its biannual review of regional newspaper sales – the average circulation for the Edinburgh Evening News at the end of June was 43,046, while the corresponding figure for Glasgow title, the Evening Times, was 56,843. But against the average figures for the end of December and end of June last year, those sales – as measured by Average Net Circulation – were all down, including – in the case of the Evening Times – by as much as over 10 per cent. For the Edinburgh Evening News, the end-of-December average was 44,464 while the end-of-June-last-year one was 46,222. In other words, a 3.2 per cent December 2009-June 2010 fall and a 6.9 per cent June 2009-June 2010 one. For the Evening Times, meanwhile, the corresponding figures are 59,365, 63,803, down 4.2 per cent and down 10.9 per cent. 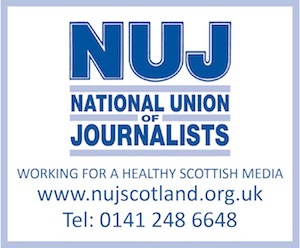 Elsewhere, among the 'regional' dailies and evening titles in Scotland, the Aberdeen-based Press and Journal registered an end-of-June-2010 average of 74,457, down 1.3 per cent on the end-of-December-2009 (75,440) and down 3.3 per cent on the end-of-June-last-year (77,006). For sister title, the Evening Express, the end-of-June-2010 average of 50,630 was down 0.6 per cent on the end-of-December-2009 (50,947) and down 2.3 per cent on the end-of-June-last-year (51,800). In Dundee, the end-of-June-2010 average for The Courier of 65,012 was down 1.3 per cent on the end-of-December-2009 (65,871) and down 4.4 per cent on the end-of-June-last-year (67,996). But it was cheerier news for sister title, the Evening Telegraph, which registered increases: an end-of-June-2010 average of 23,269 was up 3.1 per cent on the end-of-December-2009 (22,560) and up 0.4 per cent on the end-of-June-last-year (23,180). Across in the west, the end-of-June-2010 average for the Greenock Telegraph of 15,186 was down 0.4 per cent on the end-of-December-2009 (15,241) and down 4.9 per cent on the end-of-June-last-year (15,965). And the end-of-June-2010 average for the Paisley Daily Express of 7963 was down 4.2 per cent on the end-of-December-2009 (8313) and down 9.1 per cent on the end-of-June-last-year (8764).